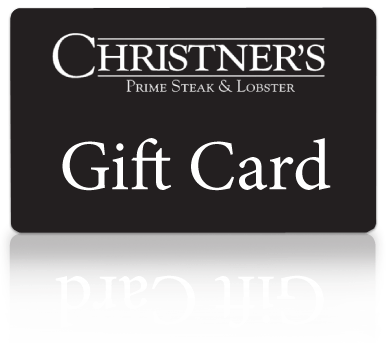 Gift Card | Christner's Prime Steak & Lobster..
Share the gift of Christner’s with your family, loved ones or colleagues. Ask your server for more information or click below to order. For Pickup: Gift Cards available for purchase & pick up at Christner's 10 AM to 10 PM Monday thru Saturday. For Mailing Options: Choose an amount for your gift card & complete checkout conveniently online.